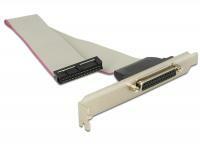 This USB-PS2 card by Delock enables you to connect two PS2 components, e.g. 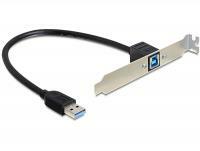 a keyboard and a mouse to an internal USB port of your computer. 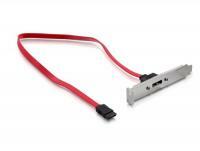 This slot bracket enables you to lead out the internal ports, in order to connect devices to the externally available eSATApd ports. 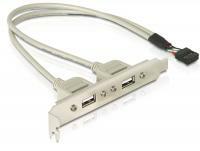 The eSATApd port provides a voltage supply of 5 V and 12 V, thus you can connect also 2.5â³ and 3.5â³ HDDs to this interface, by using special Delock products, like eSATApd cable or docking stations. 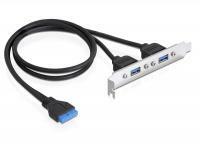 The USB slotbracket by Delock for installation into a standard PC slot enables you to lead out an internal USB 10 pin port in order to expand your PC by 2 external USB 2.0 type A ports. 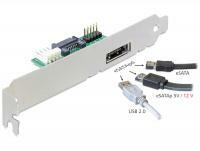 Thus you can connect different devices like card reader, external enclosure, MP3 player etc. 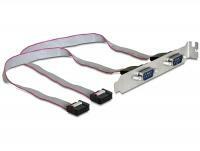 This bracket is an accessory, for example for serial cards. 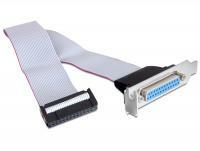 You can screw a serial cable from an internal connection to the bracket and lead the connector outside. 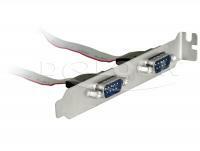 But it can also be used to lead out a cable from the PC. 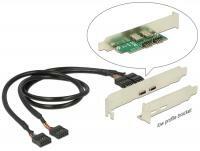 This USB 3.0 slot bracket by Delock can be installed into a standard PC slot and will be connected internally to a USB 3.0 pin header. 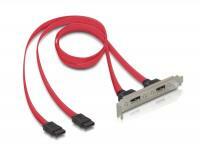 It expands your system by two external USB 3.0 ports and enables the connection of different USB devices, e.g. 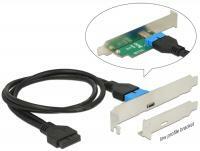 Card Reader, external enclosure etc. 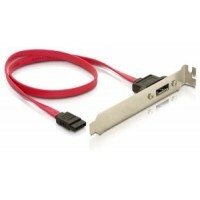 This USB 3.0 slot bracket by Delock can be installed into a standard PC slot and will be connected to a free USB 3.0-A port. 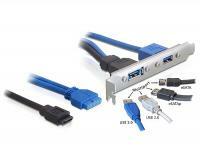 It expands your system by one external USB 3.0-B port and enables the connection of different USB devices. 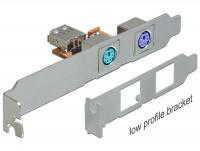 This Delock slot bracket can be installed into a standard PC slot. 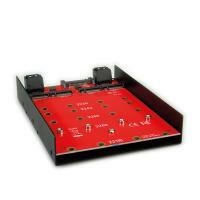 This gives you the opportunity to lead out the serial and parallel ports from internal pin header to Sub-D types. 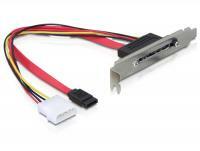 This Delock slot bracket can be installed into a free slot of your PC and enables you to lead out one internal parallel port in order to connect one external parallel device. 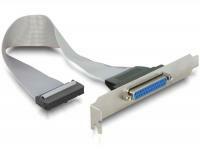 This Delock slot bracket can be installed into a free low profile slot of your PC and enables you to lead out one internal parallel port in order to connect one external parallel device. 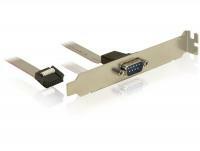 This Delock slot bracket can be installed into a free slot of your PC and enables you to use an internal parallel port. 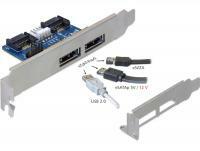 This can be lead out to connect an external device with parallel port. 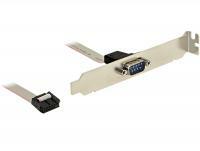 The 26 pin on the pin header is open so that you can connect this cable to motherboard with 26 pin, e.g. 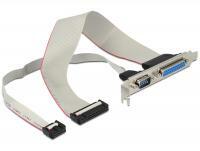 Fujitsu. 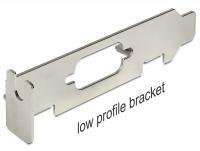 This bracket is an accessory, for example for parallel cards. 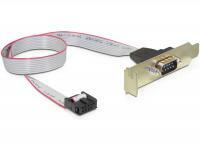 You can screw a parallel cable from an internal connection to the bracket and lead the connector outside. 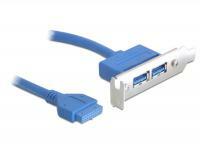 But it can also be used to lead out a cable from the PC. 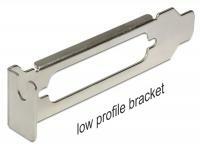 This Delock slot bracket can be installed into a free low profile slot of your PC and enables you to lead out one internal COM port in order to connect one external serial device. 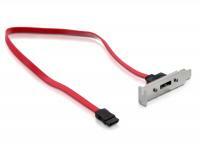 This Delock slot bracket can be installed into a free slot of your PC and enables you to lead out one internal COM port in order to connect one external serial device.